would be the last that I could own? Who knew that it meant nothing else but sorrow? 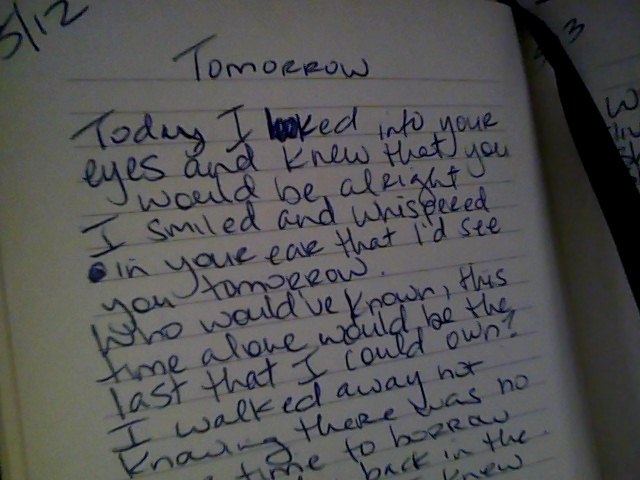 Who knew that there would never be tomorrow?